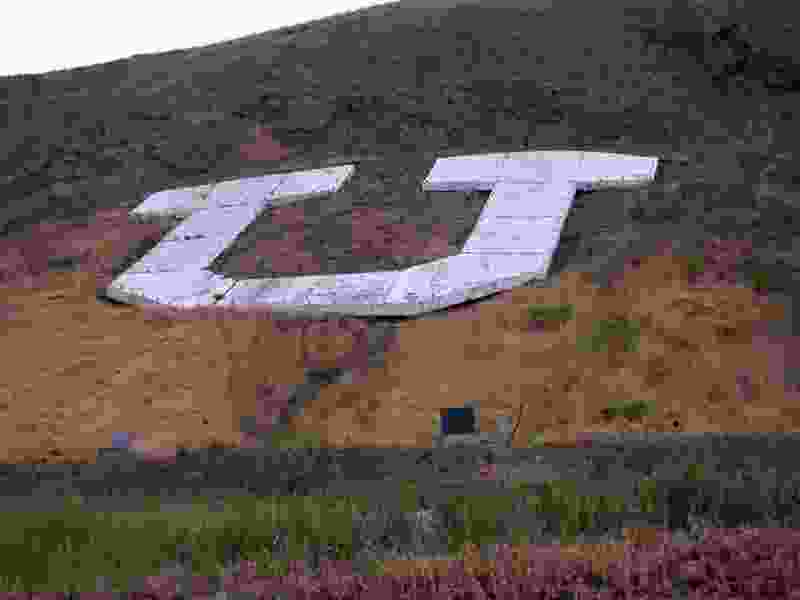 (Salt Lake Tribune file photo) The block U above the University of Utah. Identity Evropa, which is designated as a hate group by the Southern Poverty Law Center, took credit for the message on Twitter with one of its Virginia members posting pictures of the rally. He claimed the act was in retaliation for the university condemning the organization earlier this year after it posted stickers on campus to recruit members. “Our goals in Utah are no different than in other chapters: recruitment and spreading the message,” he told The Salt Lake Tribune. University spokesman Chris Nelson confirmed the group of about 11 men was on campus Saturday afternoon around 1:45 p.m. By the time police arrived at the block U, a concrete letter on Mount Van Cott above the school, the members were gone and had taken their banner down. That property is private, but the U. has an easement to allow access. The most they could have been charged with, Nelson said, is trespassing. Identity Evropa is based in Virginia and was founded in 2016 with the new alt-right movement. The group promotes white European identity. It helped to plan the Unite the Right Rally in Charlottesville, a march of white supremacists and neo-Nazis in August where a young woman was killed when a car plowed through a crowd of protesters. The group recruits primarily on college campuses. He has previously helped post stickers and flyers at the U. that included the group’s name and website. U. President Ruth Watkins released a statement in January denouncing the action. “These cowardly, faceless and non-university sanctioned tactics are designed to disrupt and frighten individuals and communities, and to garner attention for an insidious ideology that has no place on our campus or in our community,” Watkins said at the time. That monument sits in Emigration Canyon, known for the trail that members of The Church of Jesus Christ of Latter-day Saints took to arrive in the Salt Lake Valley seeking refuge from religious persecution. Largely because of that past, the state has a long history of supporting immigrants and refugees.